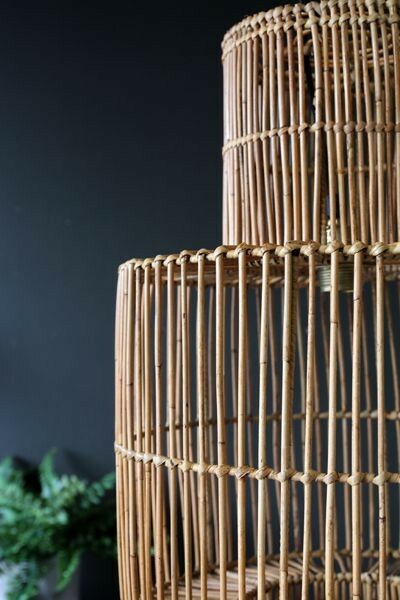 The Rattan Lamp Shade is a beautifully handcrafted lampshade that combines Vietnamese style with contemporary interiors. 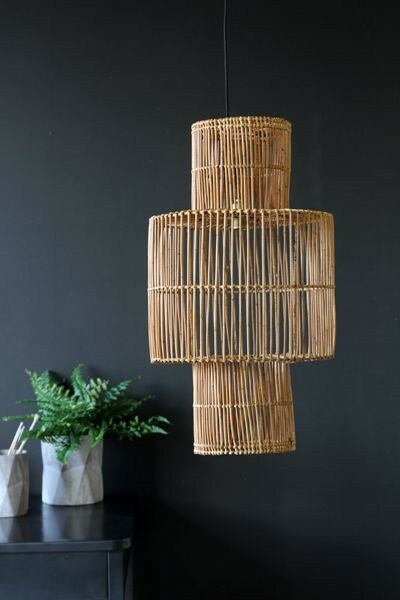 The rattan lamp shade is a real statement piece, hang in your hallway, living room or even above your table for real impact. We love how this light looks on a dark wall (we may be slightly biased here!) but it would also look great in a Scandi inspired room with white walls and light wooden furniture. Please note that a flex and fitting will need to be purchased separately. The Rattan Lamp Shade is handmade and therefore no two lamps are exactly the same, colours and exact shapes vary between shades.